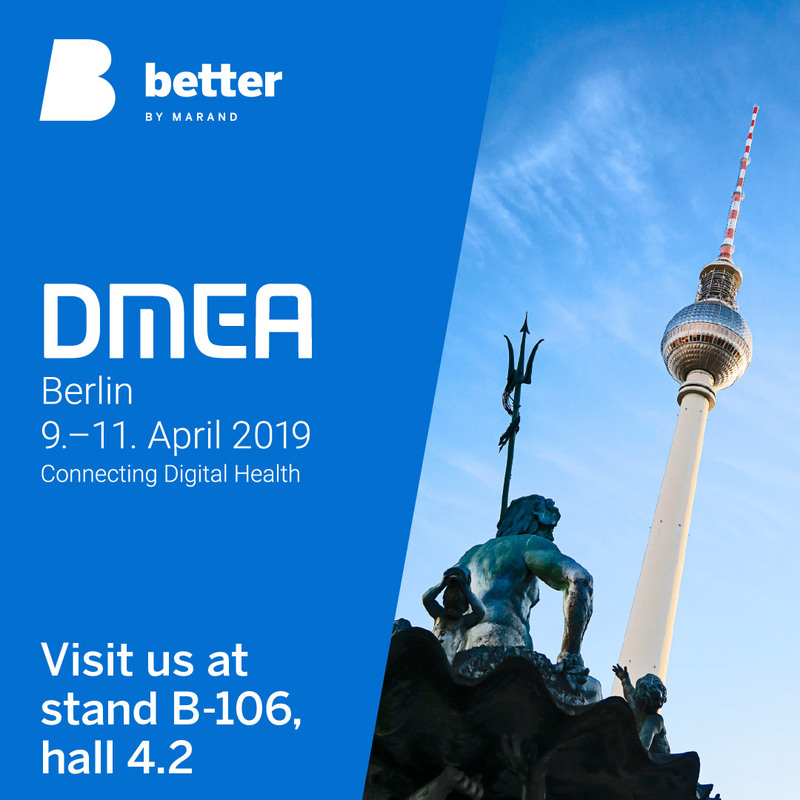 Better by Marand will be participating at 2019 DMEA, which will be held in Berlin from 9 to 11 April 2019. DMEA (formerly ConhIT) is Europe's largest event for the Health IT industry. You can visit us at the B-106 stand, Hall 4.2. Our experts will be on hand to talk and discuss our vendor-neutral health data platform, Better Platform. It is based on the postmodern EHR approach, which enables hosting multiple applications and health registries on the same platform while benefiting from the separation of data from applications. Better by Marand is one of the leading healthcare IT solution and professional service providers. We collaborate with a variety of clients on the same goal – to set them up for the future. The future that moves towards open platforms and away from siloed solutions. The future where clinical teams can work with any digital solution provider without being tied to a particular vendor. In turn, storing data in an open, vendor-neutral format will incite vendors to innovate and create better solutions. Our core technological solution, the Better Platform, is well-aligned with this vision and is based on openEHR specifications. Our OPENeP by Better product (a closed-loop medication management system) is built on top of the Better Platform and follows the same vision. Our innovations have so far taken us to 3 continents and 15 markets, including the UK, the Netherlands, Germany, Russia, Norway, Finland, Italy, Slovenia.